This article is a step by step breakdown on how to set up the fuel charges per 1/8 globally and per vehicle class. To set the additional charge per 1/8 for the global variable when the customer does not come back with a full tank, you would have to create an additional charge in Settings > Additional Charges. You can find out how to do so by clicking here. In the additional charge, make sure that “Hide from Reservation” is selected as “Yes”. This is because you do not want your customer to see it during the reservation process. To set the global fuel charge, you would first need to create an additional charge. In that additional charge, make sure that “Hide from Reservation” is selected as “Yes”. This is because you do not want your customer to see it during the reservation process. 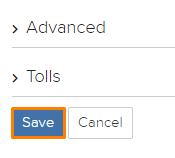 Next, navigate to Settings > Fleet > Maintenance and select the charge you have created under “Automatic Fee when calculating fuel differences” as shown in the picture below highlighted in orange. You can hover over the “?” tips to learn more about it. To set up the fuel charge per vehicle class, navigate to Settings > Vehicle Class > Vehicle Class that you want to edit > Rental Process section. Under “Fuel Charge”, set the amount that you will charge for 1/8 as highlighted in orange in the picture below. Firstly, navigate to Settings > Car Rental highlighted in dark blue in the picture below. Next, navigate to “Default Values” section. Here, under “Default Fuel Price Per Liter or Gallon”, set the amount of your fuel price as shown in the picture below highlighted in orange. Once you have done so, click on the blue “Save” button located at the bottom of the page. Next, navigate to Settings > Fleet > Vehicle Class as highlighted in the picture below in dark blue. After that, click on any particular vehicle class. You will now see that there is a new field “Tank Size” that is available. Here, set how big your vehicle class’s tank size is and the system will automatically calculate the fuel charges.